activpayroll’s two UK offices, Aberdeen and Edinburgh, celebrated National Payroll Week (5th – 9th September) by supporting their three chosen charities. National Payroll Week is one of the biggest celebrations of the year within the payroll industry. It is an opportunity to celebrate the impact payroll has on business and the contribution that it makes on the UK economy. As a means of celebrating, activpayroll took part in various volunteering efforts to raise funds and awareness for their 2016 three chosen charities: Chest Heart and Stroke Scotland, Maggie’s and Friends of Anchor; already benefitting from the yearlong CSR campaign #activAlison. activpayroll kicked off celebrations early this year by taking on a cyclathon in aid of Maggie’s at Sainsbury’s Garthdee in Aberdeen on Friday 2nd September from 10am – 5pm. Members of the Aberdeen activpayroll cycled throughout the day, taking it in turns to do one hour blocks on two exercise bikes, kindly donated by DG Fitness and Leisure. Thanks to the generosity of the public, £807.68 was raised for Maggie’s on the day. 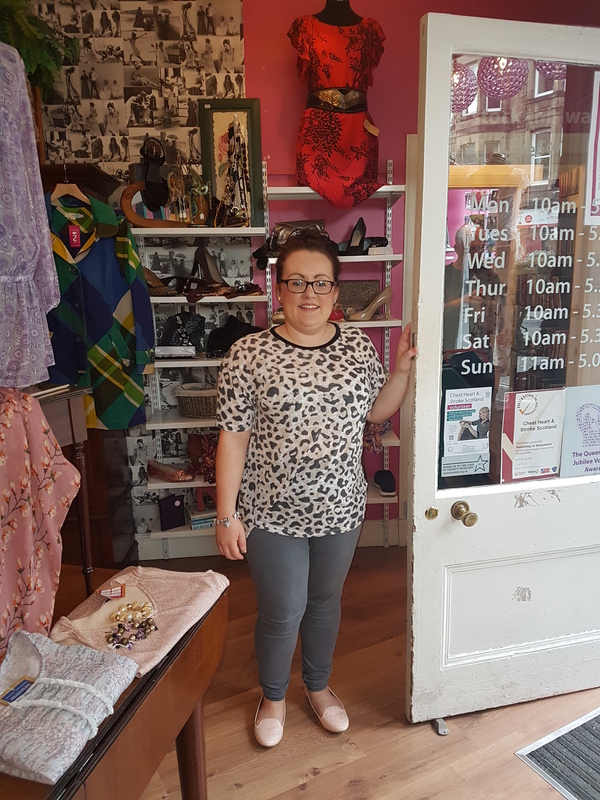 During National Payroll Week, team members of the Edinburgh office volunteered their time to Maggie’s Centre Edinburgh by helping out with their gardening and supported Chest Heart & Stroke Scotland in their Stockbridge boutique store. Meanwhile in Aberdeen, the team also volunteered at Maggie’s Centre assisting with the gardening, helping Friends of Anchor organise their 20th year celebrations and working in three Chest Heart & Stroke boutique stores (Cults, Rosemount and Banchory). To top off the end of National Payroll Week, the teams hosted lunchtime buffets and bake sales, encouraging all employees to make a charitable donation.